"Well," Caius says, "I'm gonna drive out somewhere safe and try to order pizzas." "Can you... look up phone numbers on that thing...?" Michelle asks. "For real," Fuse adds. "Does that thing get internet?" Caius shrugs, already on his way toward the door. "Dunno! We're gonna find out. I mean, I still got a real phone if it don't work, I'm just feelin' pizza." You tell Fuse that, if he wants to, you can go into the error room with him. Or he doesn't have to, if he doesn't want to. It's totally his decision. Fuse nods. "Yeah. ...I'll do it. Just lemme know when you want to, I'll give it a shot." You also check on your Red. It's... actually a bit difficult. You step into your mind-room easily enough, but at first you don't... seem to notice her there, as if you're blind to her presence. It takes a second or so for Red to be there. You ask if she's alright. "Yeah," she replies. She smiles a little. "I started as a manifestation of your other side, your insecurities about being a monster. Those are... mostly gone. You're pretty aware of what you're able to do now, and you've resolved never to flip out and eat everybody. You're finding a steady balance between humanity and godhood." She gives a small shrug of her shoulders. "Your two minds are becoming one, basically. Eventually, I'll just... be you. Your disassociating was basically what I did when I took you over, you just did it yourself. You're coming to terms with being you, and being the blood, at the same time. Even with all the new stuff we're figuring out... magic, the error room, all that--you know yourself enough that you don't need me coaching you. You understand it yourself, and you're not afraid of it. I'm you, and you're me." "Your brain," Red whispers. She speaks up a little, but still talks softly. "It might be nothing. We don't know yet." I kind of want to dissociate and look at the brain. If it's damaged we can probably fix it so we don't have to worry all the time. Didn't Finch say something about messing with our own head being something of a bad idea? a really bad idea? Yeah, but on the other hand, it might not be something we can ignore forever. Maybe it's time to make a collection of lil' Janes and try to fuse them together into a backup body? ... Starting to see Dr. Finch's point now. That, "rush job," might have been a bit too rushed. 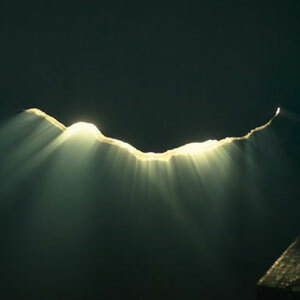 If we can figure out a way to do save-states or like, preserve who we are at some point, it might be a good idea in case that little crack in the wall comes back to bite us. Umm... we've pretty much been resting the whole evening. Do we have enough in us to make some more bone armour or work on Elizabeth before going to bed? If it'd tire us out too much for either the Odin Experiment or a Bunker X run tomorrow, it might be best just to continue to chill. Is there such a thing as brain Spackle? Remember that's a mindscape. Everything in there represents something. That's not actually our room we're in, it's our brain represented as a room. What I'm getting at is we should probably avoid touching the crack in any way unless we're sure about what we're doing. We may just make the crack BIGGER or cause it to spread out further. EDIT: I believe the solution is partly Dr. Finch's suggestion and mostly building up confidence. I imagine that crack represents our subconscious fear that we didn't truly fix ourselves. Therefore it's a bit of a Schrödinger's cat situation: the problem is only there if we look for a problem in the first place. As long as we put it out of mind, it won't affect us; and thinking about it will only make it worse. THAT said, I think we can fully and completely fix the problem by just revisiting it with confidence. If we believe we can fix the problem and then fix it, as long as we don't doubt we fixed it it will be fixed. Basically we need to psyche ourselves up, fix the issue, and then never question it again and we'll be fine. Water under the bridge and all that. I just remembered something, Fuse could see Red after the extended sync, we should bring that up with fuse and tell him that he shouldnt have been able to do that if he wasnt a psychic, theres nothing about oversync that shouldve granted him the ability to do that. Except for the fact that Doctor Finch had also seen Red, sort of. He had seen two of us at points, and other times he had heard “us” say things that Red had actually said. Caius was there, he was a little freaked out his doctor boyfriend was talking to thin air. We'll remember you Red. We'll remember you. For now, hug Red and let's go to the Error Room with Fuse. We ARE her, be kinda hard to forget her. Yes, hugs and move on. Note: we will have to approach this brain issue eventually. "I am thou, and thou art I." Oof. Fair bit to take in here. Would rather Red didn't disappear, honestly. Red's existence is a solid step towards creating autonomous homunculi, and losing her could make the process more difficult. Easier to shed an already existing personality than cut a new one out. As for the brain, well. It was a matter of time. It's not necessarily just physical damage, but may also be creeping doubt setting in. Telling ourselves the brain works only works as long as we actually believe that. But if we start doubting, well... It doesn't matter what condition its in. Anyways, ask Red if they would be interested in a different path. Disconnecting Red into an independent mind, with a vessel of their own. Mini Jane could work as a placeholder vessel, even. Red is us. She's the mental personification of our fears of our eldritch side. Coming to terms with that side and accepting it while at the same time not letting it control us and who we are, we're losing the need to try and disassociate ourselves from it and let it all simply be, "Jane." What I'm getting at is there'd be no problem with Red, "gone," because she wouldn't actually be gone; she'd be us. Making an autonomous homunculi would still be possible, it'd just not constantly challenge our decisions and try to tempt us to use eldritch powers we have no intention of using (much like Mom's Red did to mom evidently). Red was a bloody unkempt nurse before we decided to clean her and put a flower in her hair. I already thought about giving her a complete makeover, you know braiding her hair, a bit of makeup, dress her up in something other than a nurse uniform. I think it should be no problem to do a bit of renovations in the mindscape together with her. Look up what you neeed to renovate a house and then come back and do it. Should be easier to repair your brain if it is an abstract concept you understand than a lump of flesh you don't really know what it is supposed to look like. Astral projection takes brainy jane out of her brain, right? Perhaps Jane could astral project while red examines and fixes her brain. That way Jane's personality won't get damaged. Maybe red would need to be on cleantex or some traded up super cleantex so she remembers how the brain looked before the accident. I guess she also could hang a painting over the crack but it sounds like an unhealthy thing to do. What cleantex actually does is create shortcuts between the "remember stuff" parts of your brain, letting you process intentional thoughts faster. If that's an accurate description, I don't know that it'd have any effect on red, the part of us that exists separately from brain type thoughts, when she's alone. Well, maybe a traded up super cleantex would work. Not all supernatural entities have brains after all. Actually, since all this is just a representation of her mind I'm kinda curious about the books and the computer. Maybe one of the books holds her memories. Just look for a damaged one, it has the memories of her stargazing with mom. Write down what happened - we did make notes of it before erasing - and suddenly your memories return? a- looks like it's time to consider externalizing Red if we want to "keep" her, though I wonder what that will mean for our body/self/blood w/o her "in there." We will still have plenty of "use' for dissociating the blood from the sense of self, e.g. astral projection. b- I wonder if we need a referral to a good brain doctor who can fix any existing damage in a "blind trial" sort of way. Hmm. We could head to the error room with a bioprinted brain-ish organ and see if we can talk to a jane that failed to fix her brain. Externalizing Red is not a benifit. It would be like expecting your arm to go on and live an independent life. Similarly having our fears of the unknown run an independent being won't work either. Creating an independent homoculi that mirrors Red in personally as a new person is a valid goal. Remember that an arm HAS gone off and lived a separate life in this series before. A short on, since we killed it, but still. There is a HUGE benefit to still having Jan'e Red around as a cognizant entity. The Red knows so much, can communicate so much, can observe so much, that Jane's human mind isn't even able to be aware of or identify on useful timescales! Jane's Red conveniently translates its observations in a translatable manner, like having an AI assistant installed into your brain! maybe we can have it both ways, just by force of will/cultivating our relationship with Red we can "create" her without losing any of ourselves... Maybe ask Momma Red about it? It seems to be able to "bud" w/o losing identity. As bittersweet as it might be for us as readers to not be able to see Red as she is anymore, this is a VERY good thing for Jane. Red disappearing because she is healthier about who she is what we NEED after all the bad stuff that's happened. As for the crack, since this place is more symbolic than anything else, I'd wager the crack is Jane worrying about her brain after what Finch said. It's troubling, but I suspect thinking about it at all is why the crack is there in the first place. Do not try to look at the brain, and don't think about the crack. I believe I know why that crack exists- and why Finch told us not to think about it yet. If we're going to do this, it can;t be spur of the moment- if what I think is true... well, safe to say that we'd probably do a lot of damage to ourselves. Also, probably unlikely, but if there is an "absence" due to the brain, is there any chance Nil might spontaneously... lurking? ooohhh... can the cell phone call the many? Maybe we can ring them up and sweet-talk them into flipping to our side at a safe distance.